We got this great Passport PD-150 directly from Fender as a demo item and when we took it out of the box to check it out we couldn't tell it from new. 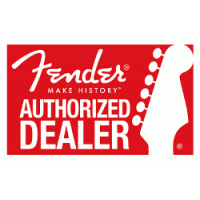 It looks new, plays new and comes in the box with the full factory warranty. In fact if we would have taken the B stock stickers off the box we could have sold it as new and no one would have known. Of course we don't play that way so we are selling it at a low price and passing the great discount we got on to the customer. The Fender Passport PD-150 is a self-contained portable audio system that includes everything you need for great sound anywhere you go. Carry your Passport as you would a suitcase, and simply flip open the cabinet release latches when you’re ready to set it up. 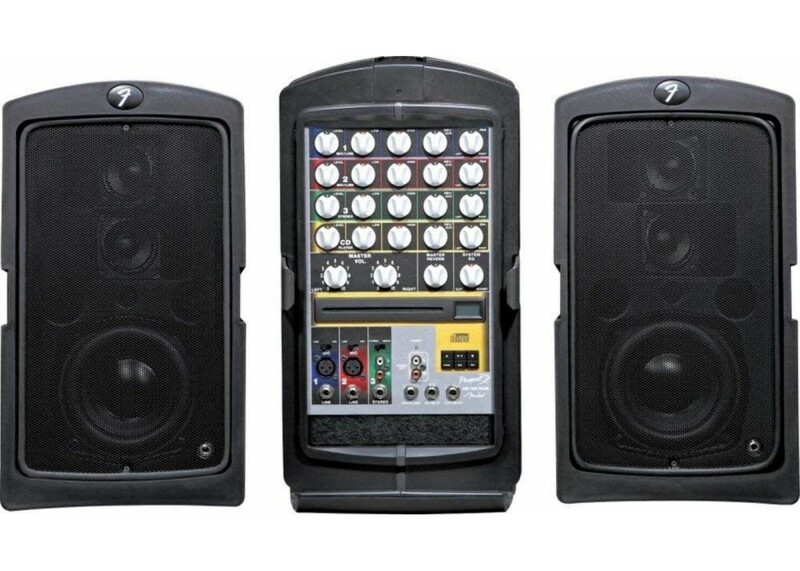 Inside you’ll discover two full-range speaker cabinets, a powered mixer and all the cables you’ll need to get started. Passport is ideal for an array of applications, including band and DJ gigs; education, sporting and worship events; meetings, seminars and presentations. The Fender Passport Deluxe is a self-contained portable audio system that includes everything you need for great sound anywhere you go. Carry your Passport as you would a suitcase, and simply flip open the cabinet release latches when you’re ready to set it up. Inside you’ll discover two full-range speaker cabinets, a powered mixer and all the cables you’ll need to get started. 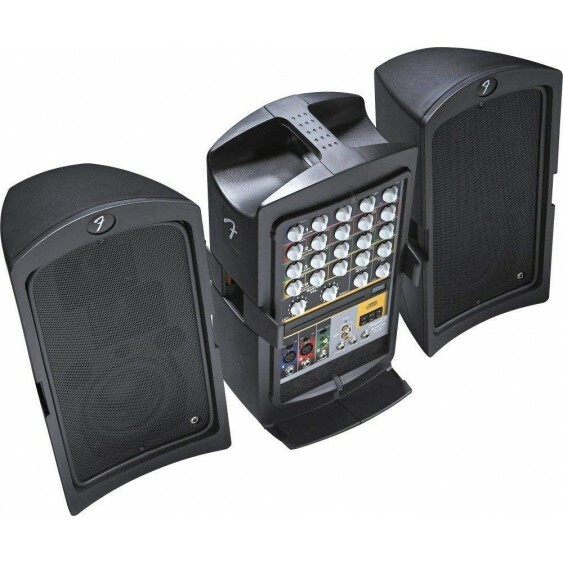 Passport Deluxe is ideal for an array of applications, including band and DJ gigs; education, sporting and worship events; meetings, seminars and presentations. Following in the footsteps of the PD-250, the PD-150 PLUS isa smaller and more portable version with a built-in CD-player. 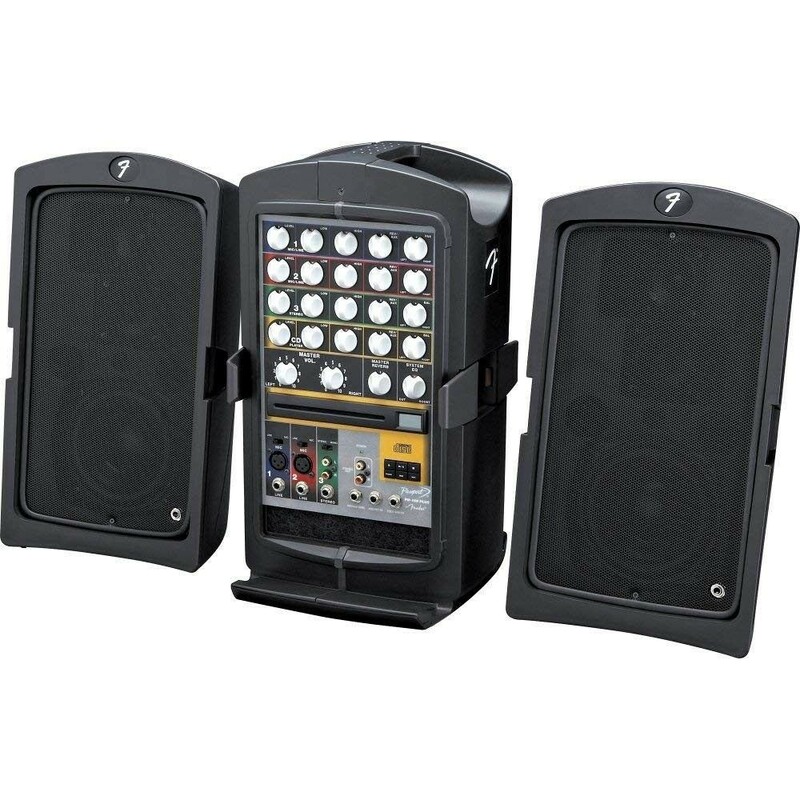 The PD-150 PLUS features a four channel mixer, 150-Watt stereo amp and a specialized DSA speaker design. Weighing just33 lbs., the PD-150 PLUS is excellent for small presentations,school, church programs and aerobics studios. 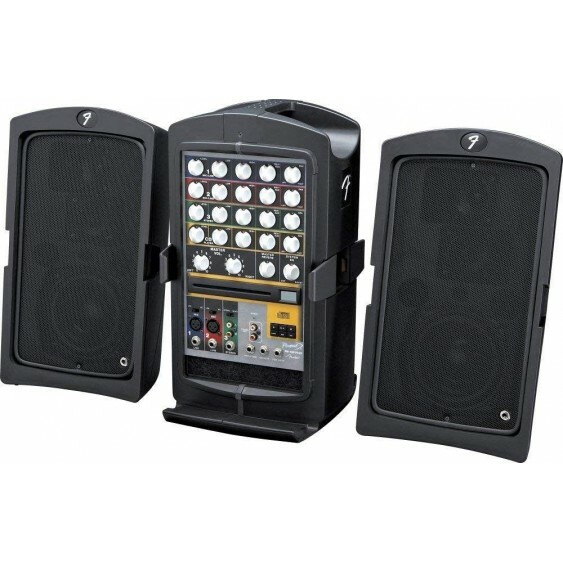 The Passport Deluxe PD-150 Plus from Fender is perfect for presenters, schools, auctioneers and mobile DJs. 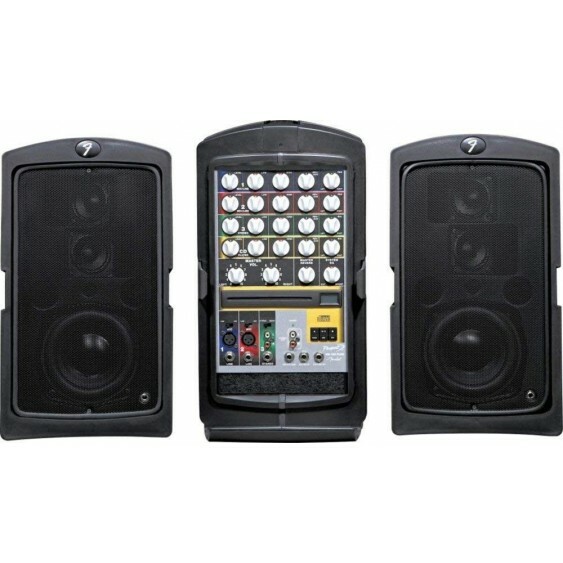 The Passport Deluxe PD-150 PLUS is a small portable sound system with three input channels and a built-in CD player. Sonically superior to the competition, the Fender PD-150 PLUS features 150 watts of Class-D power and Passport's specialized DSA speaker design that is voiced for music performance and playback. 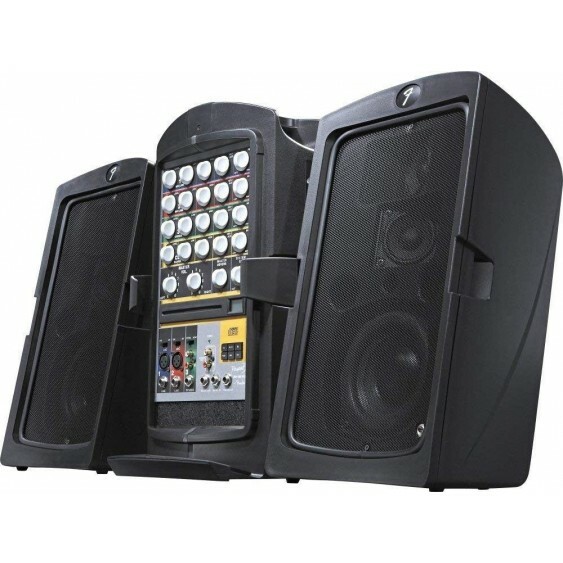 The PD-150 also has extraordinary feedback rejection that allows the speakers to be placed behind the user, eliminating the need for separate monitor speakers. 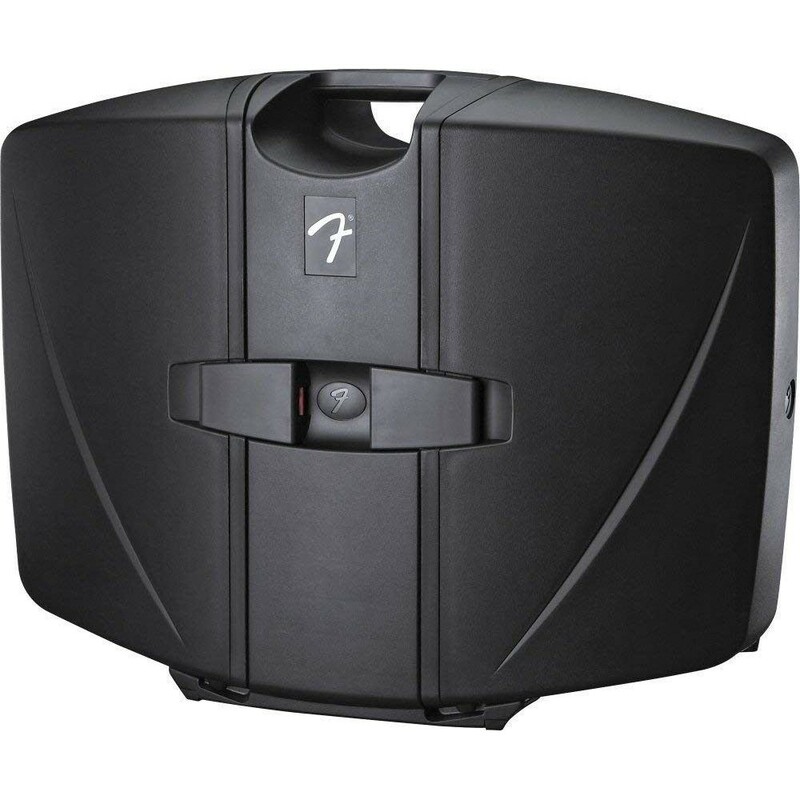 The PD-150 PLUS also "latches" together in a patented, easy to carry suitcase-style form factor for easy transportation and storage. 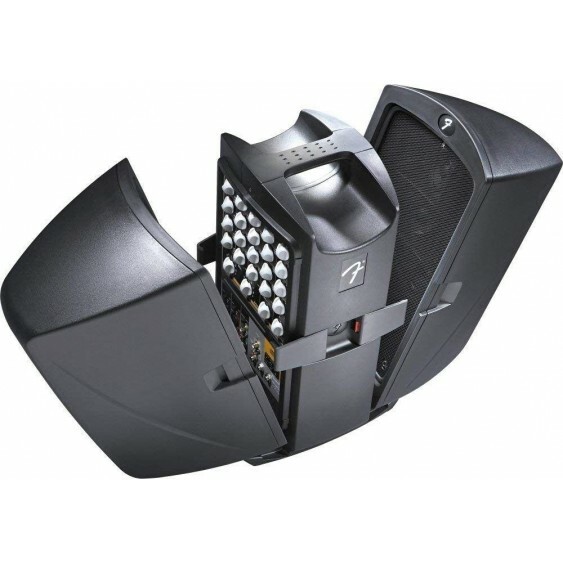 If you speak, perform or just need to be louder, the PD-150 PLUS is for you. 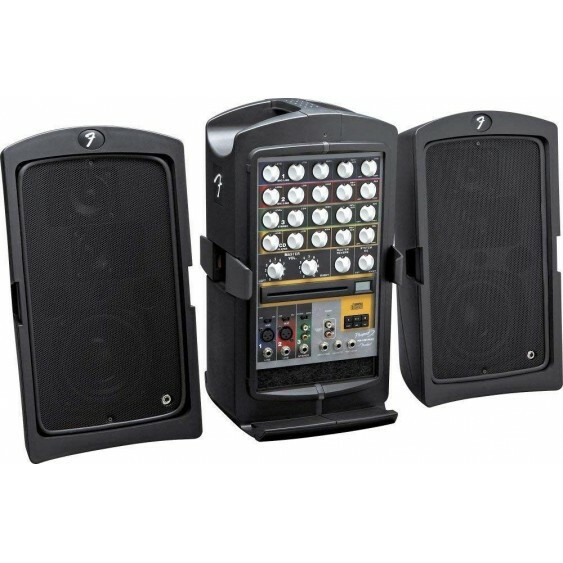 The PD-150 PLUS is a small, portable sound system featuring two mic/line channels, one stereo line channel, one CD channel to control the built-in CD player, a stereo 150 watt Class-D power-amp and Passport's Deluxe Speaker Array (DSA) speaker design. The PD-150 PLUS comes complete with speaker cables and one P-51 mic kit which include a professional dynamic microphone, mic clip, mic cable and zippered carry pouch.